Eleven Sports continues its rapid expansion in the UK and Ireland with the addition of numerous international football rights. The newcomer has confirmed it has acquired the rights to provide live and exclusive coverage from the Dutch Eredivisie (Netherlands). Coverage was previously provided by Sky Sports in the UK and Ireland. Meanwhile, Eleven Sports has also confirmed it has scooped the rights to show the Chinese Super League from 2019 and the Allsvenskan (Sweden) from this year. The addition of the top-flight leagues bolsters Eleven's strong offer for football fans following the platform’s entry into the market with exclusive rights to LaLiga and Serie A. The coverage will be available on Eleven Sport's new football channel, Eleven Sports 1, which will be available on Eleven's soon-to-be-launched streaming platform. The company is also in discussions over carriage on other platforms. Interested viewers can register with Eleven Sports to get details about the new service, including pricing and availability, as soon as the company releases more information. 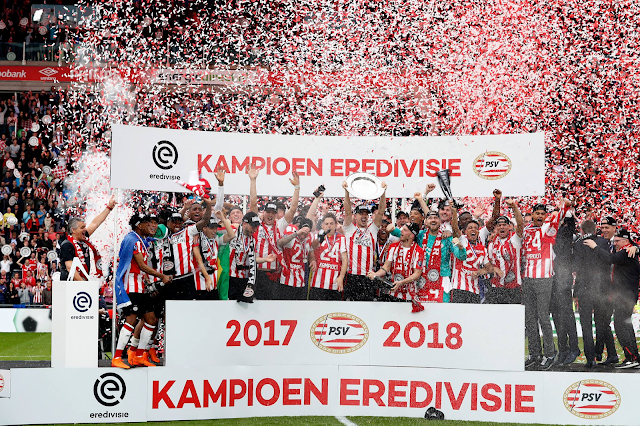 The Eredivisie offers fans the chance to watch all the action featuring European giants Ajax, PSV Eindhoven and Feyenoord. The premier Dutch league also has a reputation for nurturing some of best talents in the game with graduates including; Denis Bergkamp, Luis Suarez, Robin van Persie, Christian Eriksen, Virgil Van Dijk and most recently, Justin Kluivert, who signed for Serie A side AS Roma in June. Former Premier League players Ramires, Graziano Pellè, Jose Fonte, Javier Mascherano, Oscar and John Obi Mikel all ply their trade in the Chinese Super League alongside Belgium’s FIFA World Cup Semi-Finalists Axel Witsel and Yann Carrasco. Former Wales manager Chris Coleman, who steered his nation to the Semi-Finals of Euro 2016, has also recently taken over as Head Coach at Hebei China Fortune.